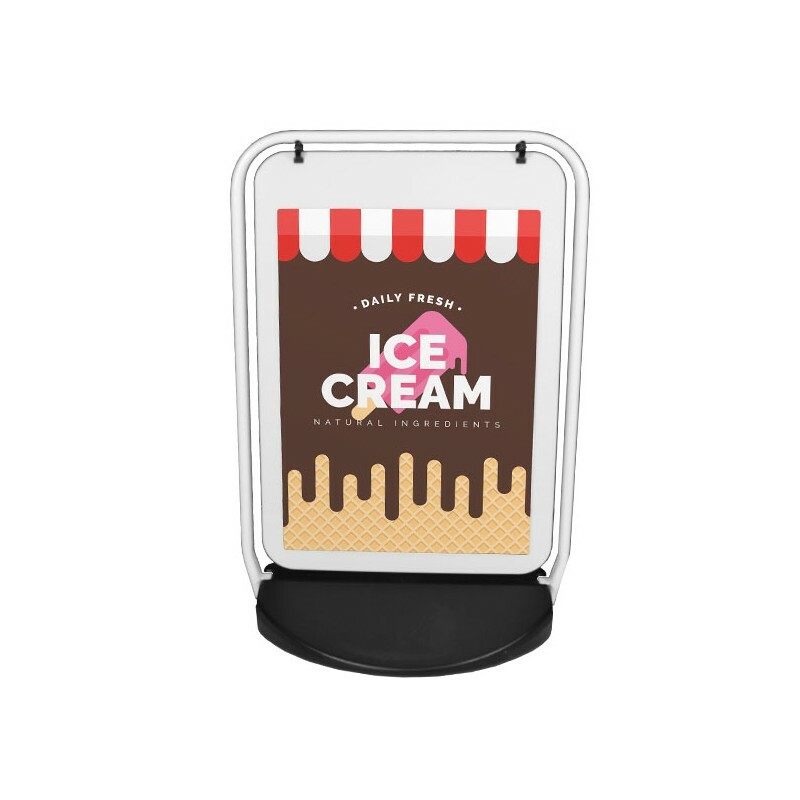 You can fit a large A1 poster into the swinging section of this board, which gives you plenty of room to put your business’ name and contact information. 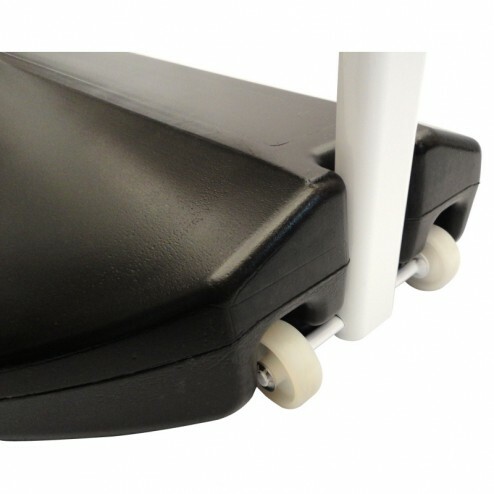 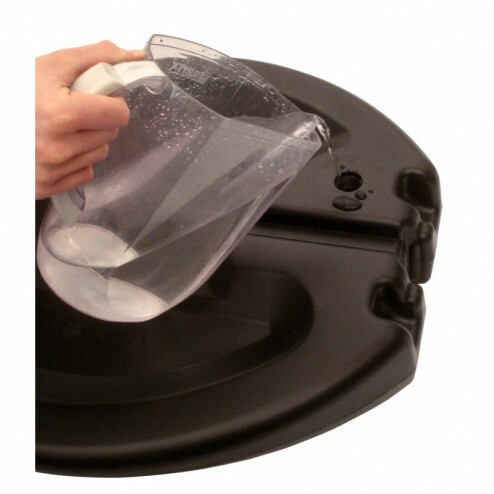 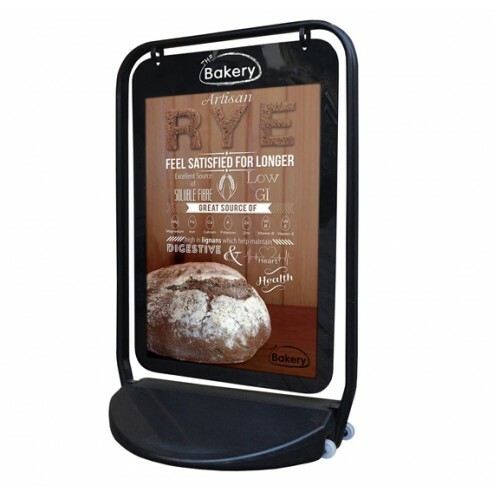 It’s a rigid piece of kit too – it’s made of a 50 x 25mm flat oval steel tube frame, so you can be sure that it’s extremely durable. 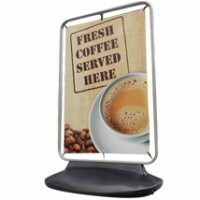 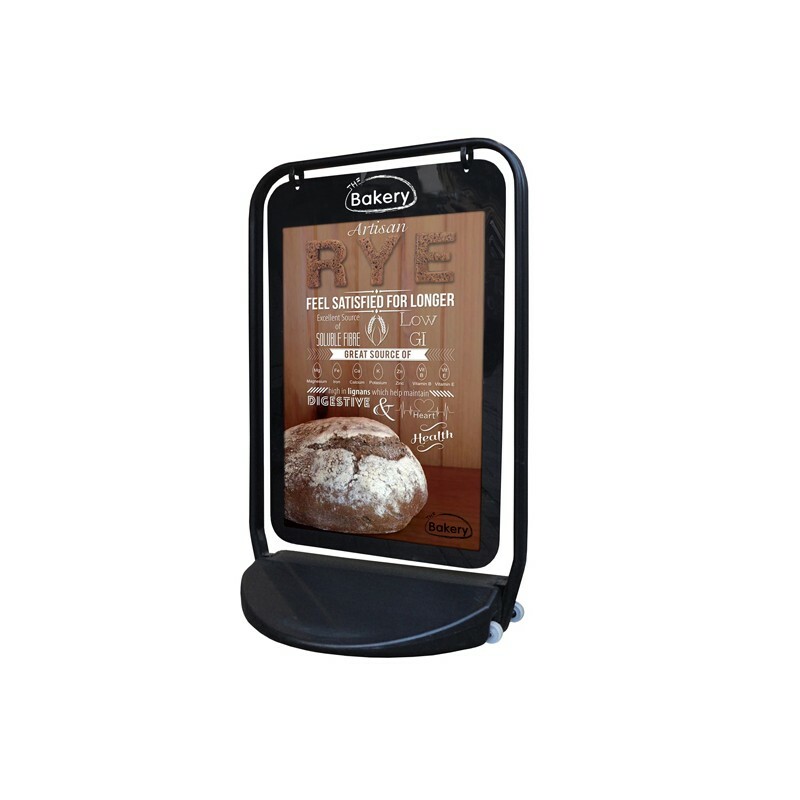 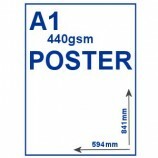 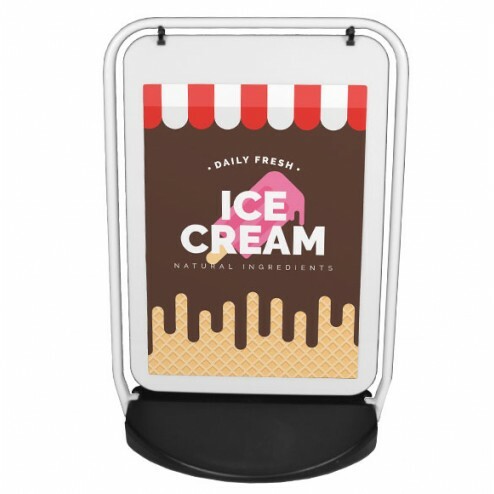 The pavement board sign is weather resistant thanks to the magnetic edged polycarbonate poster wallet – and don’t forget the base can be filled with water or sand in order to ensure that the sign does not blow over in windy conditions. 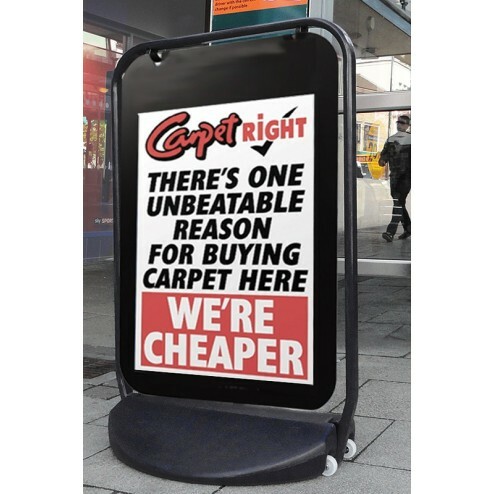 Whether it’s sunny, raining or snowing – this pavement board sign is the ideal product for business owners looking to add a bit of life to the boring pavement outside their premises. 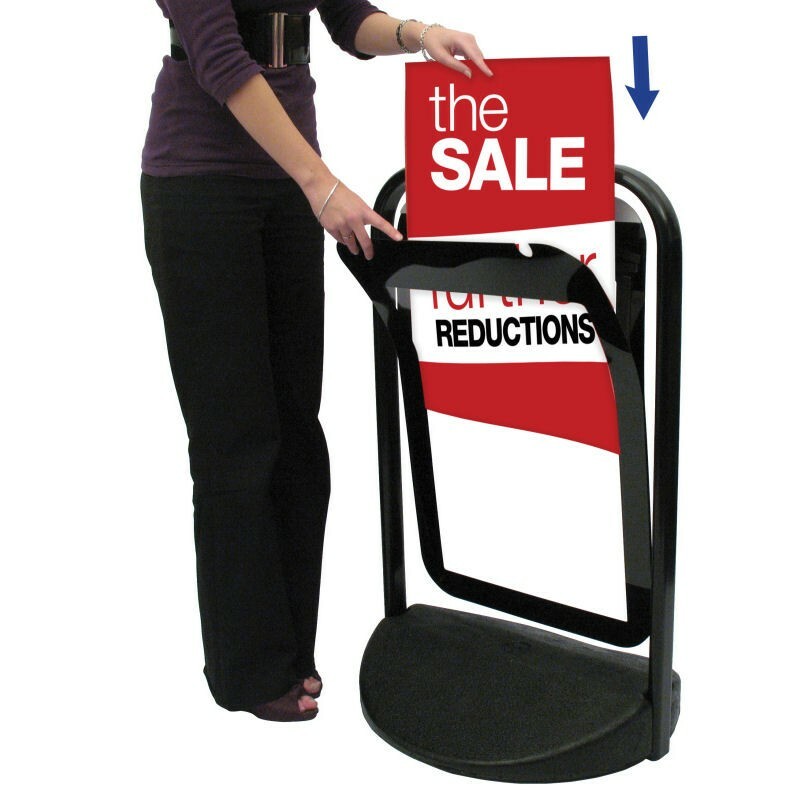 If you would like help choosing a pavement sign or A board please call one of our display advisors on 0844 800 1020. 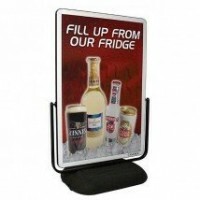 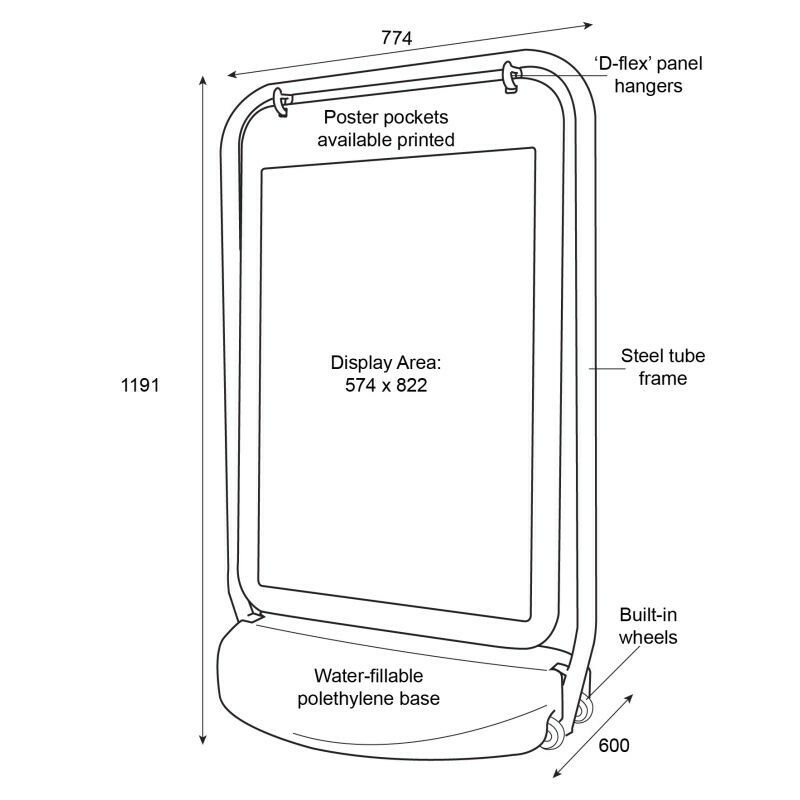 No hard sell, just straight forward helpful advice on how to get the best value from your display budget.